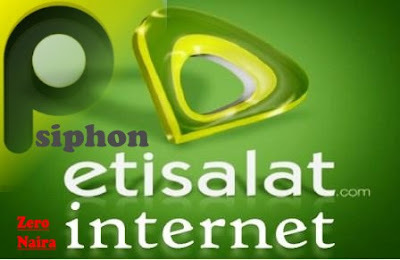 Etisalat Chat or Social Pack unlimited downloading works with weekly or monthly subscription, but now, we have a new tweak that you can use to browse with zero naira on Etisalat updated for December. This latest N0.00K browsing cheats works with Psiphon handler settings and you can rock it for free as long as you can. But you really have to be patient for this one to work for you without any charges. Note that for it to work, you MUST NOT have any active social or chat pack, if they are still active, just disable renewal and wait for it to expire before you try this. I will give you two method of getting this tweak to work for your android. 1. Make sure your account balance is N0.00k and absolutely no free mb left on your account. 4. Select USA as the region. 5. Go down and locate “More options” under the “Handler” button. 7. Leave the others as default and go back to the main screen. Click Save, then return to the first page and connect. The Master says that the cheat is tricky so you have to to bear with the disadvantages of waiting for some time (sometimes up to 10 mins) for it to connect but once it connect, it blaze unlimited with no throttling or speed restrictions. So patience is key to this one. 4. Tap on Save to close the Handler Settings. I've seen your comment, we are still working on this design to be as cool (functionally) as the other. Just perform the normal procedure ; Force stop, clear cache, switch airplane mode off and on, check your account balance and try to connect again, you should be on. i need ip address my psiphone is not connecting..
Dis one strong o lol. Please understand that we test every tweak and confirmed working at the time of posting. We also do our best to keep every tweak on the site updated. Sometimes simple oversight like missing space, period or comma can screw everything up. In the case WhatsApp or Telegram tweak groups can sort that out. It is still working, just that you have to updating the proxy ip. This coulc be the android OS problem especially if you had installed another psiphon before. In that case, if the device is rooted, go to root/data/data and delete the psiphon com. folder.